Receive up to 50% discount when you pre-book your activities! Please help us personalise your upcoming stay by providing below information of your preference.Please be advised that additional charges may apply for items that are not readily available in the resort. 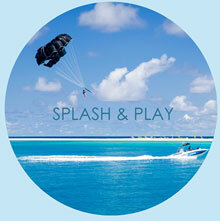 Dive into an array of special offers when you pre-book your activities. Please select an experience of your liking and our Guest Experience Team will get in touch with you to finalise the details. Signature Seafood Dinner on Private Island description:A few minutes’ boat ride whisks you away to our private island. The sunsets here are out of this world, and tropical lagoon waters promise absolute tranquility. 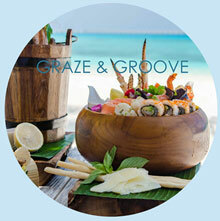 Indulge in the ultimate escape by reserving crab shack for only the two of you. Sink your feet into powder soft sand and savor the mouth-watering aroma and tantalizing tastes of our fresh and innovative cuisine, paired with the finest wines and Champagnes. Pamper your loved one in the comfort of your room, a private barbeque dinner without leaving your accommodation. Your own private house on the sand. The villa includes two master bedrooms, whitewashed interiors and fabulous amenities. Cheers to another glorious sunset while practicing your best mermaid swim in your private 10m freshwater pool. The picture-perfect setting for a romantic dinner feasts under the stars. Beat the routine and take part in UFC Gym personal training session. Train at the standard of world champions and get in the best shape of your life. A combination of Eastern and western techniques that addresses your body’s natural rhythms and self-healing system and brings it back to balance by the use of trigger point therapy, myofascial release and deep tissue. 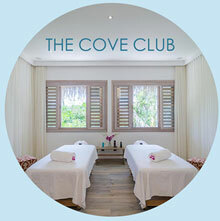 Book your in-villa massages in advance & enjoy peace & tranquility. Begin your day with a sunrise yoga on the sand bank whether you are a beginner, intermediate or advanced, this yoga is for you. 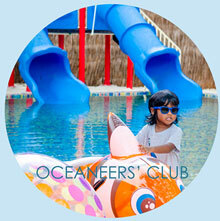 Our goal is to leave you centered, balanced and awakened by the sunrays of beautiful Maldives. Coming to Maldives and not diving is like traveling to the foot of the mountains and not climbing, there is so much to discover in the nearby reefs in Baa Atoll, we have a host of dive courses. Pre-book Discover Package and receive a private video shooting with our Videographer. Book your Advanced Open Water Dive Course and Nitrox Dive Course together and receive Special Package Rate of US$1200++ for the combined booking. Normal package rate of US$1,400++ including boat trips and equipment, based on 3 x morning double dives and 1 x afternoon single dive, plus full equipment for 7 dives. Book 5 dives and receive 2 additional dives. Diving can be taken as double morning dives (09:00 – 13:30) or afternoon single dives (15:30 – 17:30). Normal Package Rate of US$880++ (including boat trips and equipment, based on 3 x morning double dives and 1 x afternoon single dive, plus full equipment for 7 dives). Don't miss out on the opportunity to explore and discover the amazing beauty of Maldives! Buy HUB Buckets for US$300++ per person and enjoy any 3 Excursions from our selected menu + get 10% discount on Private excursions. Head to the Thunderball for a Wet ‘n’ Wild adventure! With qualified instructors on hand to help you through your chosen activities, you are sure to feel safe, comfortable and floating high above the stunning stretches of sand and the sparkling ocean! Let’s amuse the adrenaline junkie in you! Choose any two experiences from Thrill Menu, or alternatively choose one from Fun Menu. special package offer of S$250++ for 5x3hrs session per child. Normal price at US$300++ per child. *Please note that Discover Excursions and Diving trips require minimum of 4 guests to participate, otherwise private trip rates apply if you wish to proceed. All rates are in US$, & are subject to 10% service charge & 12% Tourism Goods & Service Tax (TGST). Terms & Conditions apply.